This home is centrally located in a family neighborhood within a short drive to beautiful Mayflower Beach and other Cape Cod Bay and ocean beaches and a short stroll to saltwater Follins and freshwater Flax Ponds. After an enjoyable day at the beach come home to the comfort of the fully air conditioned home and then take a refreshing outdoor shower and relax on the spacious deck. When it's time to eat fire up the Weber Grill for dinner on the deck. If you enjoy water sports bring your kayak, canoe, or small boat. It's only half a mile to a boat landing on Bass River. 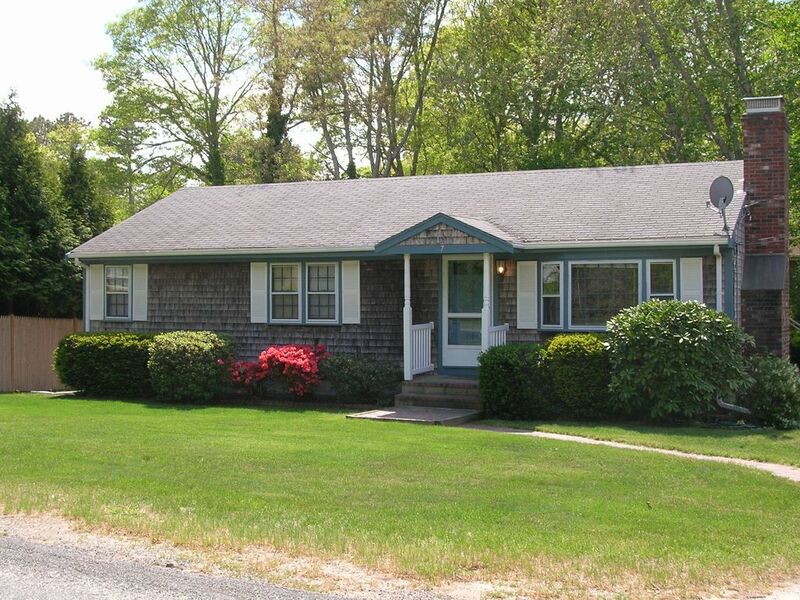 Close proximity to Dennis Pines and Highlands golf courses, the Cape bike trail, Johnny Kelly Park with lighted tennis and basketball courts softball and soccer fields, Dennis Village, the Cape Playhouse, plenty of shopping areas and much more make this a great spot to enjoy your summer vacation. Don was a pleasure to rent from! Stayed at this location for a 10 day fishing trip to the Cape! Great space and amenities! Clean and good space for our group; especially enjoyed the outdoor terrace with the Weber BBQ. Location is very nice in a quiet location - very close to shops/ ATM's - and close drive to all the desirable destinations on the Cape. Very forthcoming and helpful landlord; making our trip even better! Will be returning next year! Great neighborhood spot on the Cape! We had a great time in Dennis. This property is a short drive to the beaches, downtown and a great central cape location. TV, WiFi and AC - The outdoor shower is great for after a day at the beach! Once again we had a great week at the Cape! This is our second time staying at this property and we really enjoyed it. Don the owner was a pleasure to deal with and made this rental well worth it. Very quiet neighborhood with easy access to all the surrounding towns. We visited all of our favorite places to dine and enjoyed quite a few beaches. Sesuit Harbor Cafe is one of our favorite spots to get reasonably priced seafood and one of the best views. We look forward to our Cape trip in 2019! The Fab Four. Perfect house for a relaxing visit to Cape Cod. Plenty of room for kids. Clean and cofortable. We were here for our nephew's wedding and our adult children joined us for the weekend. We were comfortable in the house and it is a very convenient location for exploring the Cape in full. Don was very accomodating and checked in with us to make sure all was well. Credit card payments have additional fees.